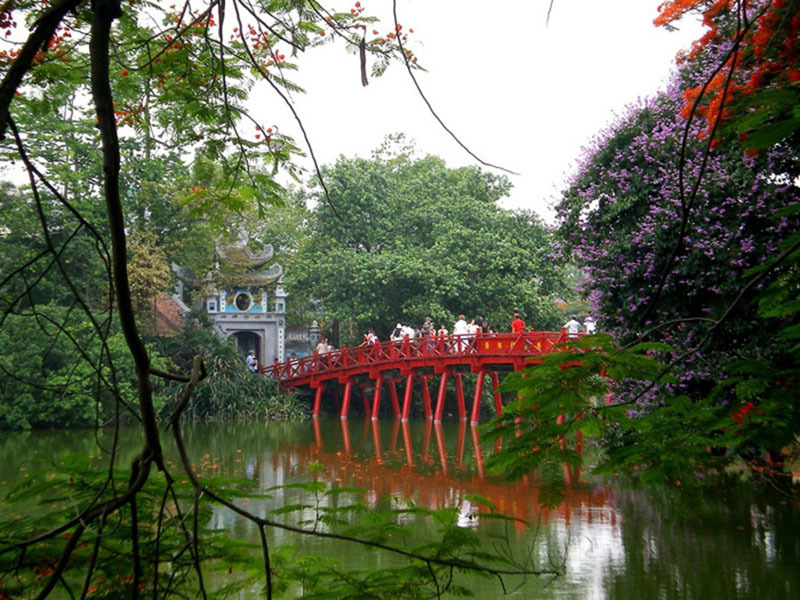 Hoàn Kiếm Lake, also known as Gươm Lake, is a lake in the historical center of Hanoi, the capital city of Vietnam. The lake is one of the major scenic spots in the city and serves as a focal point for its public life. 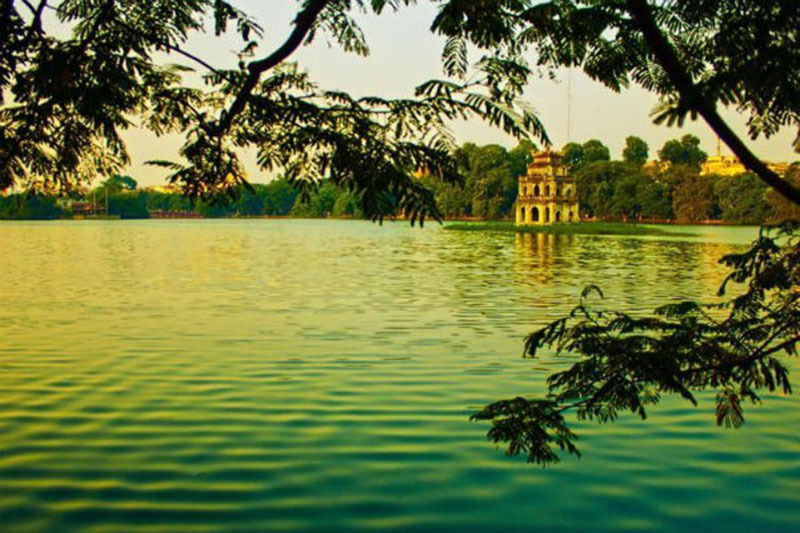 Hoàn Kiếm Lake is the heart of Hanoi, an attractive destination for visitors. According to the legend, in early 1428, Emperor Lê Lợi was boating on the lake when a Golden Turtle God (Kim Qui) surfaced and asked for his magic sword, Heaven’s Will. Lợi concluded that Kim Qui had come to reclaim the sword that its master, a local God, the Dragon King (Long Vương) had given Lợi some time earlier, during his revolt against Ming China. Later, Emperor Lợi gave the sword back to the turtle after he finished fighting off the Chinese. 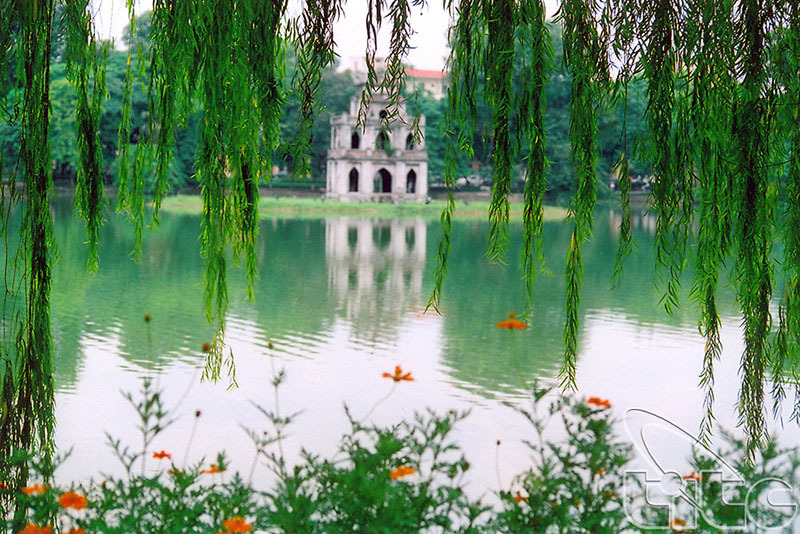 Emperor Lợi renamed the lake to commemorate this event, from its former name Luc Thuy meaning “Green Water”. The lake is not only special in her history. 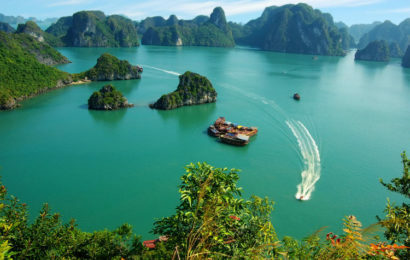 The water color of Hoàn Kiếm Lake is not commonly found in other lakes elsewhere in the country: greenish, with dark or light shade depending on the reflection of the sky. The lake is full of tortoise, which is second to none to be found among Vietnamese lakes. If you are lucky, you will catch sight of these giant animals rising out of water. And because tortoise is considered a sacred animal in Vietnam’s culture (along with dragon, phoenix and unicorn), Hoan Kiem Lake then become a holy place that nurtures tortoise. Before and even after Hanoi’s massive expansion in 2009, Hoàn Kiếm lake is still a pride of all Hanoians and the center for any distance measurement. Nowadays, it’s still a gathering place yet new Hanoians may live too far to count their distance to the lake. Still, as you walk by, you will be able to witness the pace of life in this peculiar city. Together on Hoàn Kiếm Lake is Ngọc Sơn Temple, was built in the 18th century on Jade Island in the centre of the ‘Lake of the Returned Sword’. Legend describes how an emperor was once given a magical sword which helped him defeat the Chinese Ming Dynasty and in doing so saw the return of the Golden Turtle God to the lake. Today ‘Turtle Tower’ stands close to the lake in memory of this legend. There are also endangered large soft-shell turtles swimming in the lake, and to see one of these gentle giants is considered very auspicious. The name of the temple translates to ‘Temple of the Jade Mountain’ and is predominately dedicated to war hero General Trần Hưng Đạo who defeated an armed force of 300,000 soldiers sent by Mongolian Emperor Kublai Khan in the 13th century to invade Vietnam. Also inside the pagoda are a large bronze bust and other deities. 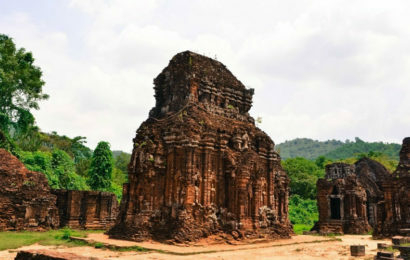 There are altars dedicated to Trần Hưng Đạo, some ancient artifacts including ceramics and a preserved specimen of a giant turtle found in the lake weighing 250kg. Hoàn Kiếm Lake is centrally located and minutes walking from Hanoi’s Old Quarter, where most hotels gather. From Nội Bài Airport, it takes about 40 minutes to get here. 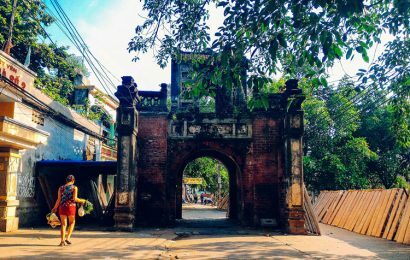 If you stay in West Lake area, just take Yên Phụ Road to reach the Old Quarter and head east to Hoàn Kiếm Lake.